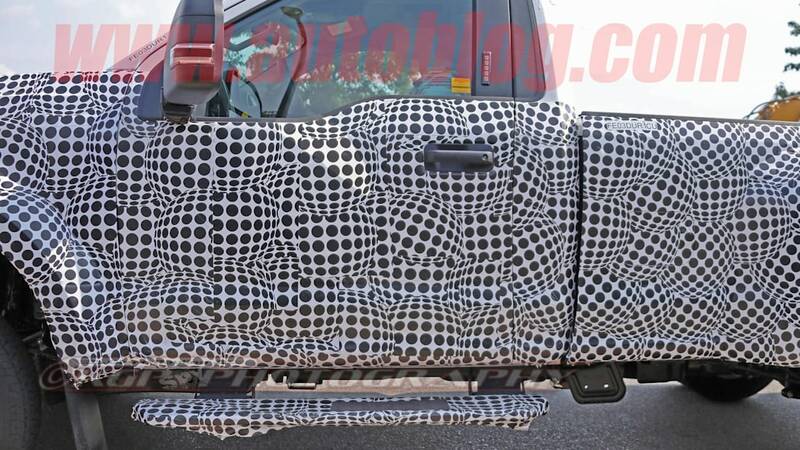 The cosmetic changes appear light, but it’s what’s under the hood that counts. 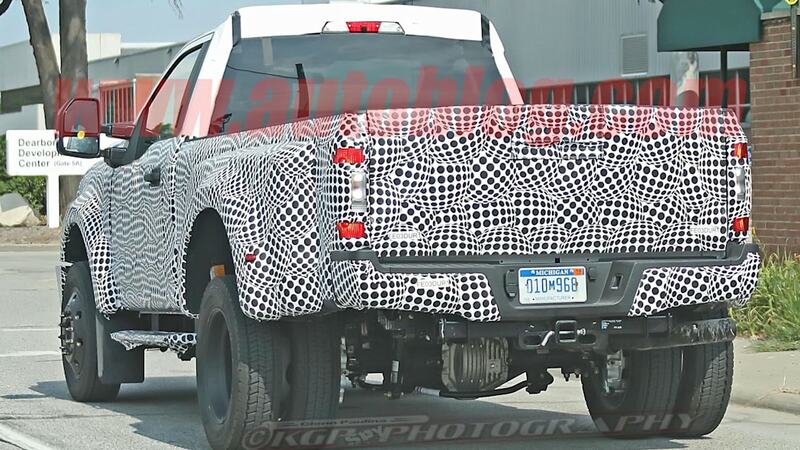 Do you love the 6.8-liter Triton V10 engine, which has been soldiering along since 1997? 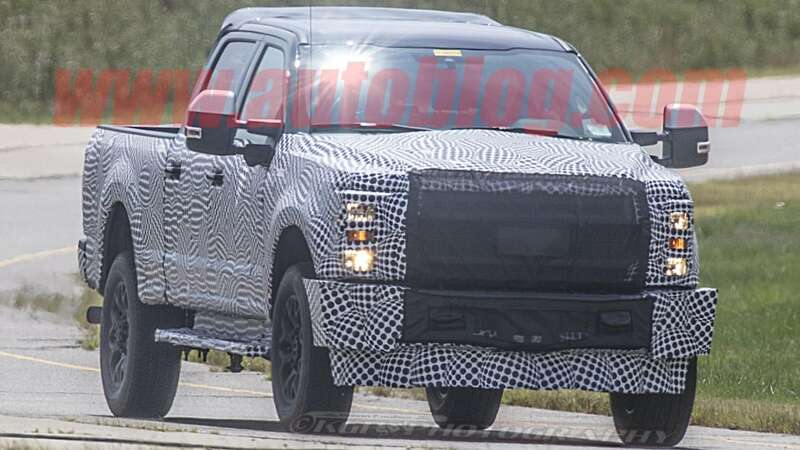 Too bad – it's dead, and it'll be replaced by a DOHC, 7-liter V8 built in Canada. 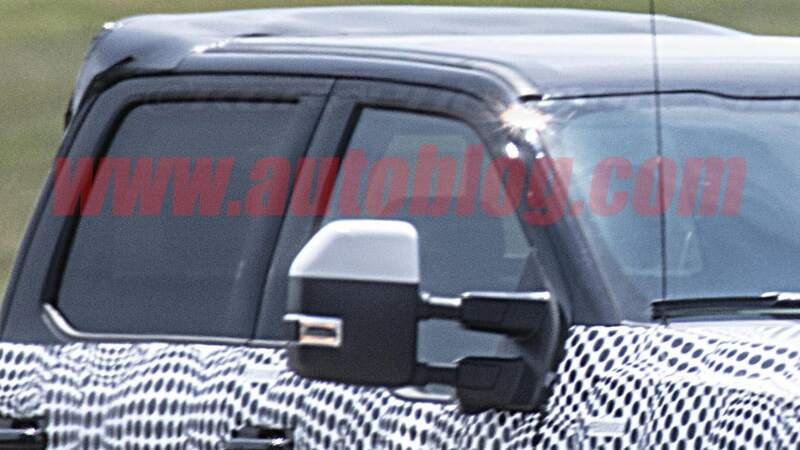 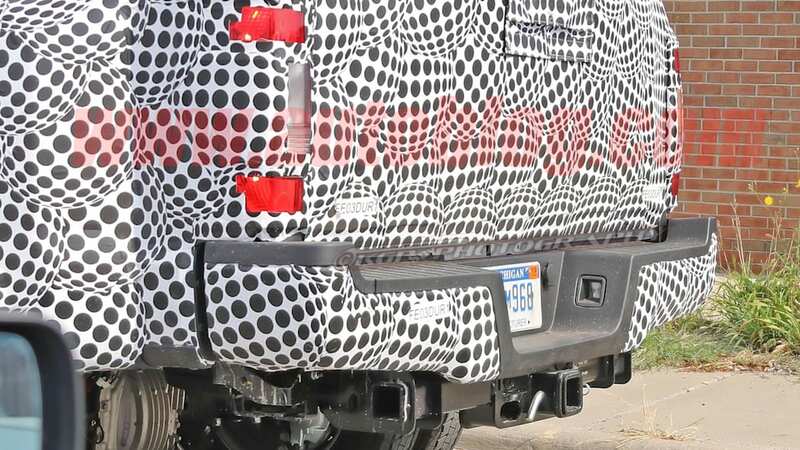 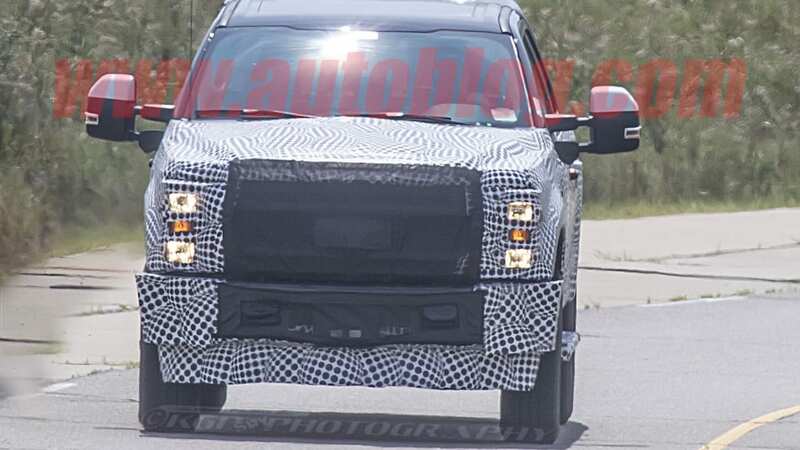 That's what will likely be found under the hood of Ford Super Duty trucks like this 2020 Dually our spy photographer captured. 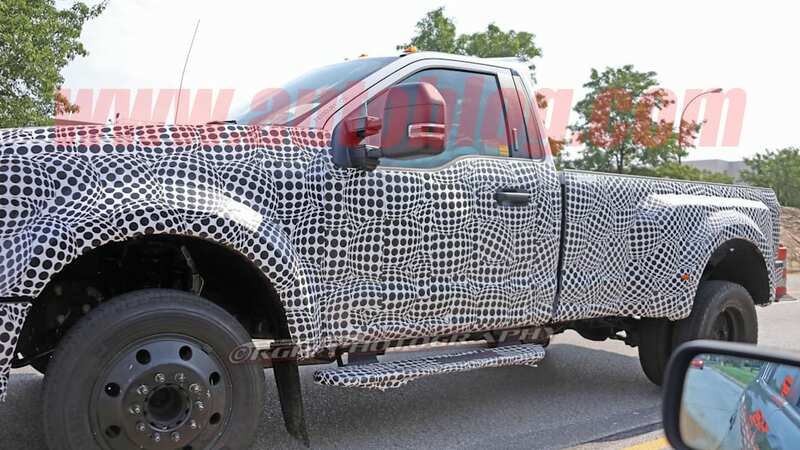 Ford claims the engine will be more torquey and get better fuel economy than the Triton. 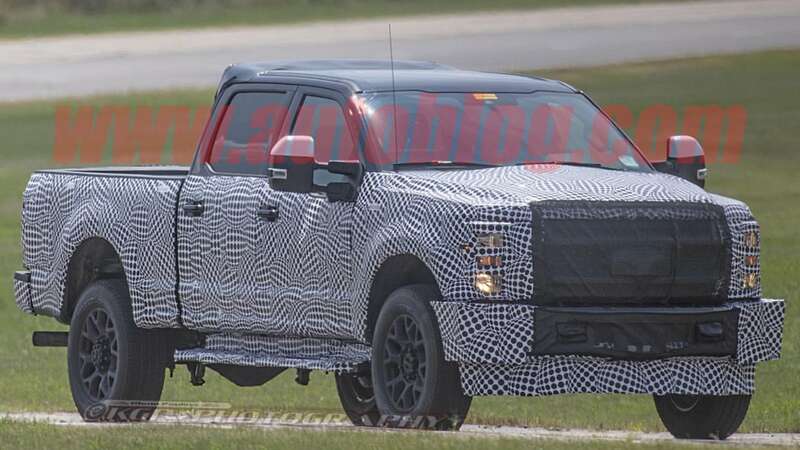 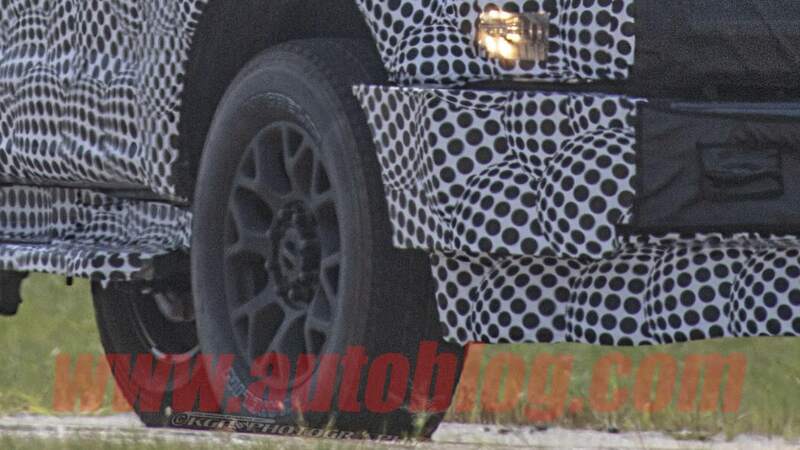 While there's heavy camo covering the head and taillights, and the general shapes of this truck look similar to what's currently on the road, we're expecting mild revisions to better match the recently refreshed F-150. 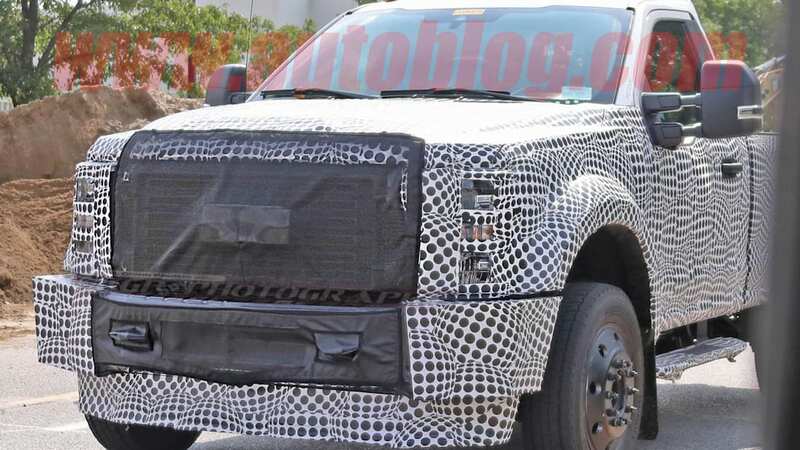 Heavy duty trucks like these generally get more conservative cosmetic makeovers, more infrequently, than lighter-duty consumer trucks. 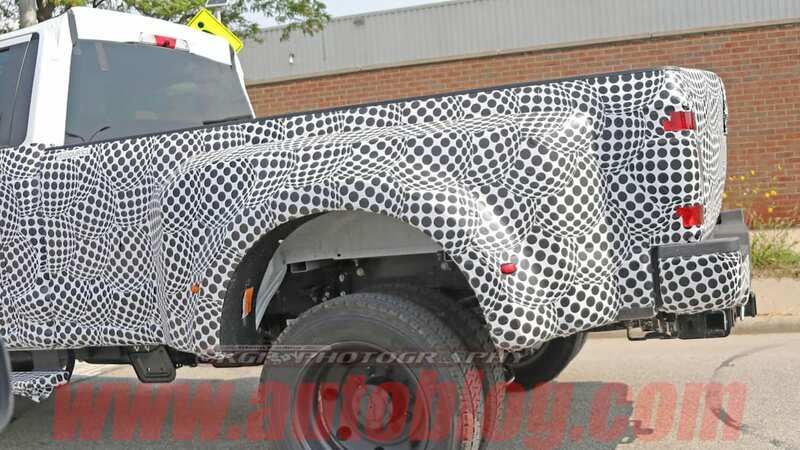 A tweaked grille to more closely match the lighter truck is expected, although it's hard to see from these images. 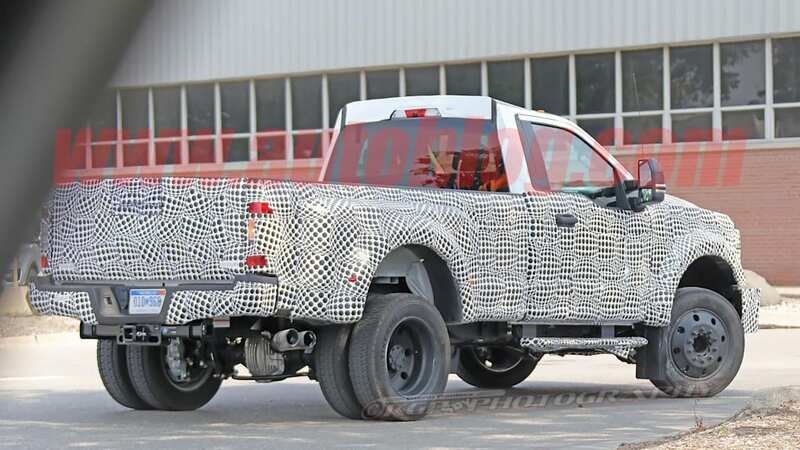 One thing we don't expect to show up on the Super Duty line is the tucked, dual-exit exhaust tips that snug up against the revised F-150's bumper. 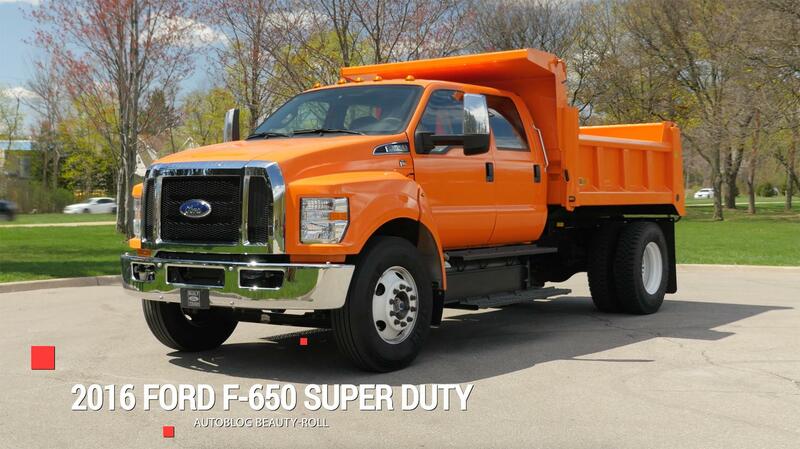 The functionality of a big, single side-exit is perfectly adequate for a serious truck. 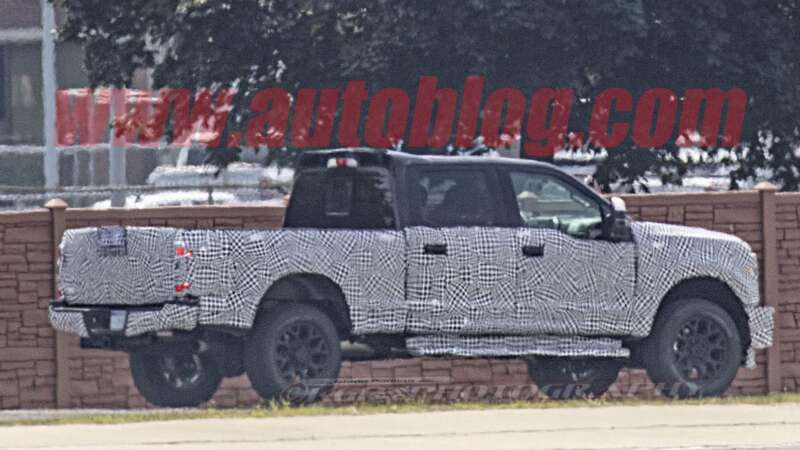 Otherwise, we expect most of the changes we saw in the 2018 model year Super Duties to carry over. 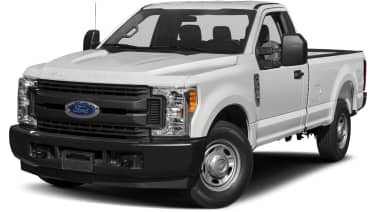 That includes the 6.7-liter Power Stoke Turbodiesel V8, conventional towing capacity of up to 21,000 pounds (when properly equipped), and a maximum payload of 7,360 lbs (also when properly equipped). 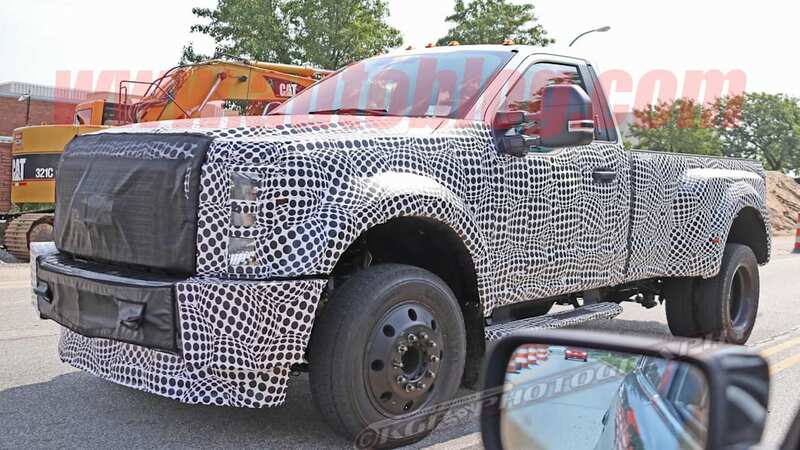 The recently-added F-450 Crew Cab 4x2 dually option is also likely to carry over. 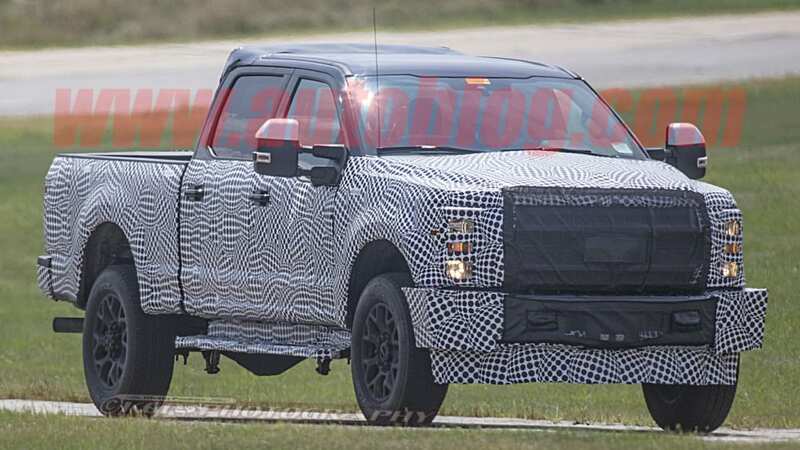 While we're absolutely sure Ford's Power Stroke diesel will soldier on in the refreshed Super Duty, it's unclear whether the 6.2-liter gas V8 will remain in the lineup. 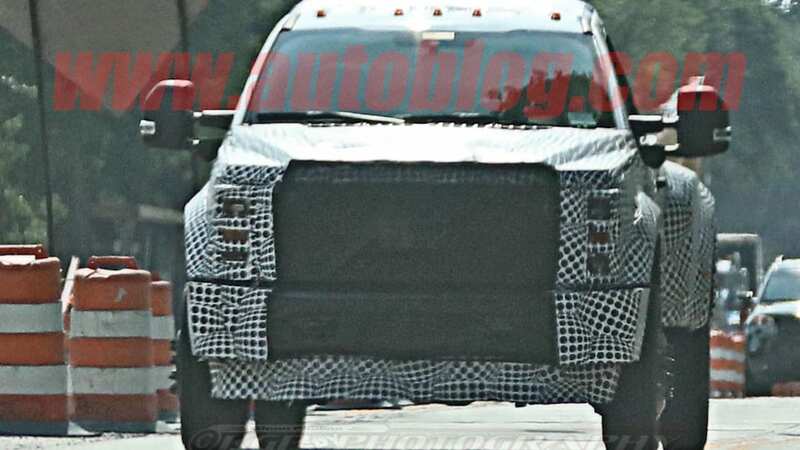 It would make sense that the 7.0 will replace both the old V8 and the ancient V10. 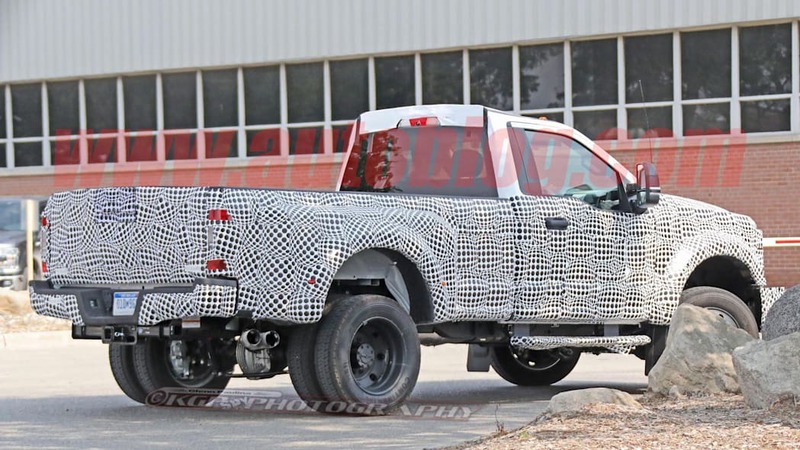 We'll see what happens when Ford officially announces specs and pricing on these trucks.